A beautiful, clear sky this morning in Tokeland. Days like this are too rare for studio work. Before I head off for the beach, I would like to share a few very recent pieces of new work with you. All of these are made with sea glass found in the UK. 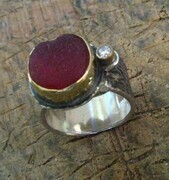 The shapes of the glass are used “as found”.That means, no reshaping of the sea glass has been done. That makes finding a piece that is suitable for jewelry and has a unique shape a real score! 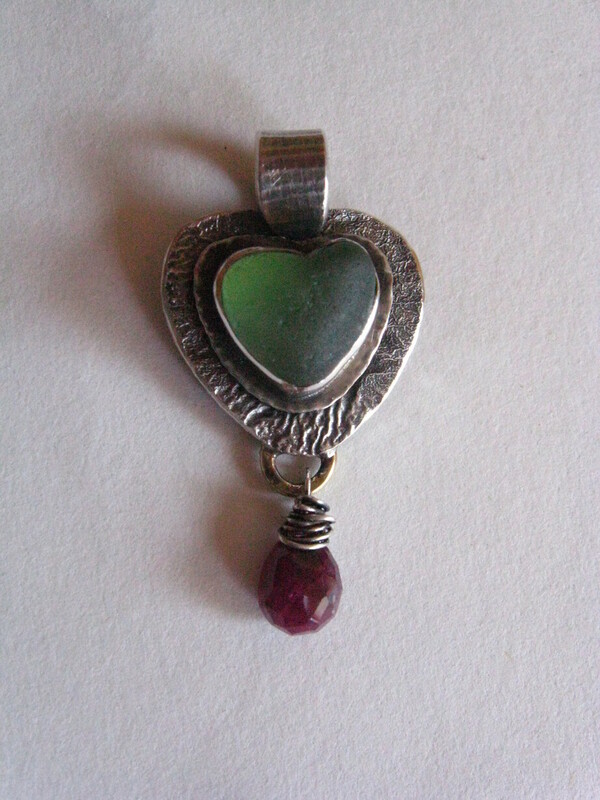 I love heart shapes.In this pendant, a tiny pale green heart is surrounded with textural silver layers and a rich pink sapphire dangle. 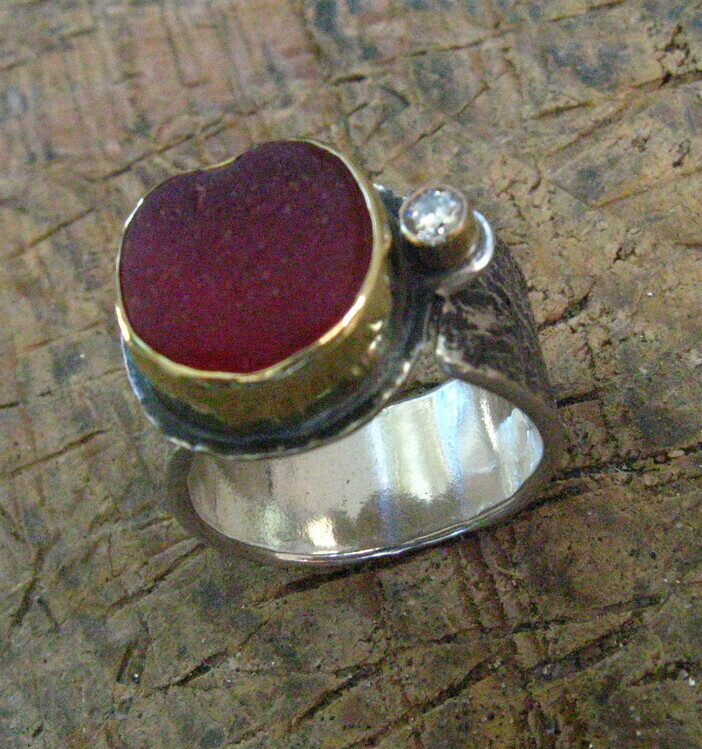 The burgundy red sea glass in the ring is set in 18KT gold, with a small diamond sparkling off to one side.The shape of the sea glass is suggestive of a heart (maybe it’s the color) or a shield- is there a metaphor there? 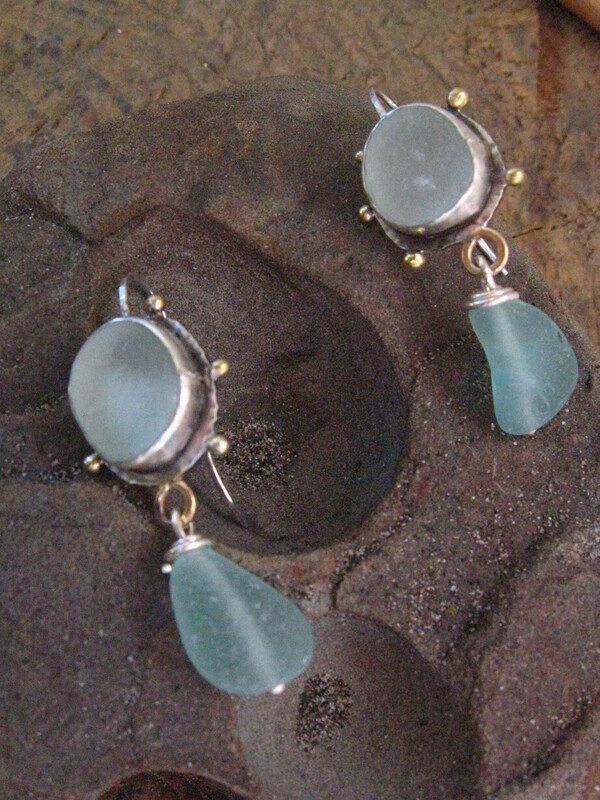 Salt Water earrings: I could see Aceta, the Nereid of the Shore in ancient Greek mythology taking these earrings off and leaving them on a rock to go for a swim….especially on a day like today. May your day be full of wonder! This entry was posted in Works in Progress and tagged jewely, judith altruda, sea glass, tokeland on May 5, 2013 by admin.